There are birthdays, and then there are milestone birthdays. My friend Michelle recently celebrated a milestone birthday (I won’t tell you which one), and I wanted to make her something special. Now, I realize most people would have picked up a card or a bottle of wine. But I’m not most people. As much as I love the written word, I’m not a huge fan of cards, and bottles of wine… well, I’d rather drink them myself. Or at least with my friend who’s celebrating. This recipe is inspired by something that Michelle and I saw while having coffee one fine sunny morning at Butter Baked Goods. 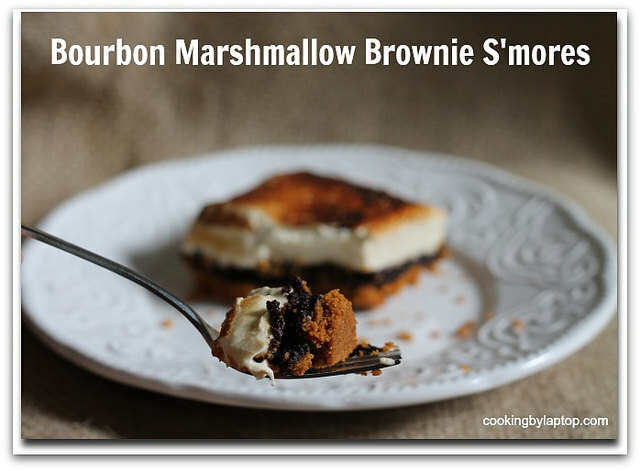 It’s a riff on a S’more, but this version ain’t for the kids. If you’ve never made marshmallows, they aren’t particularly difficult, although they are a little fiddly. Ideally, you want to have a large stand-mixer for this. My wee food processor was overwhelmed. I dream of having a Kitchen-Aid stand mixer to call my own. Any day I get to use my brulee torch is a good day! Mix both ingredients well together, and press into the bottom of an 8″ by 8″ pan you’ve lined with parchment. Bake in a 350 degree oven for 8 minutes. In a bowl, whisk the sugar and butter together with the vanilla and salt until smooth. Add the eggs, one at a time, whisking well between each one. Pour the batter over top of your prepared graham cracker crust. 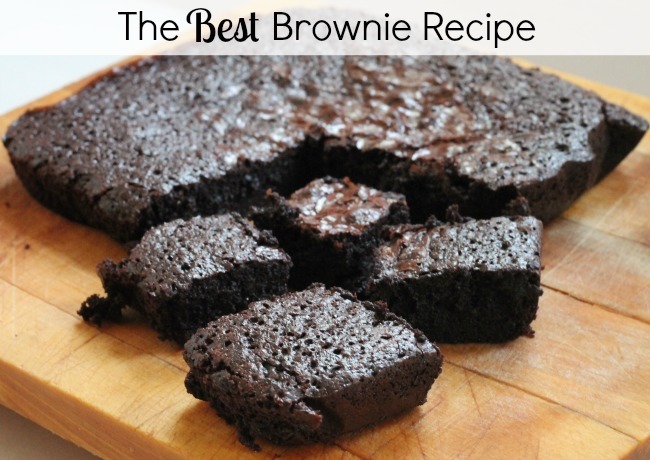 You can decide how deep of a layer you want your brownies to be. I used about half of the mix in my brownie s’mores, and baked up the other half as plain brownies. In a medium-sized bowl, put 1/2 cup of water. Sprinkle the gelatin on top, and allow to sit for a few minutes. In a heavy-bottomed saucepan, combine the sugar, corn syrup, salt, and 1/2 cup of water. Bring it up to boiling, stirring and allowing the sugars to all dissolve. Using a candy thermometer, cook until the syrup registers 240 degrees. Place to the side just for a few moments to allow it to stop bubbling. Scrape the jellied-gelatin into the bowl of your mixer. Start the mixer on low speed. With the mixer running, slowly add the syrup in a slow stream. When all the syrup has been added, slowly start to increase the speed on the mixer until it is high. Allow to beat for 5-10 minutes, or until the marshmallow looks like glossy, beaten egg whites. You should get a ribbon of marshmallow streaming off of the beaters when you lift them up. Finally, add in the bourbon and the vanilla beans, and give it one last whirl. Pour the marshmallow on top of the brownies in a layer. Carefully spread it so that it is even. It will be very sticky! You can try a moistened spatula or wet fingers. Allow to stand at room temperature for at least 4 hours, or overnight. 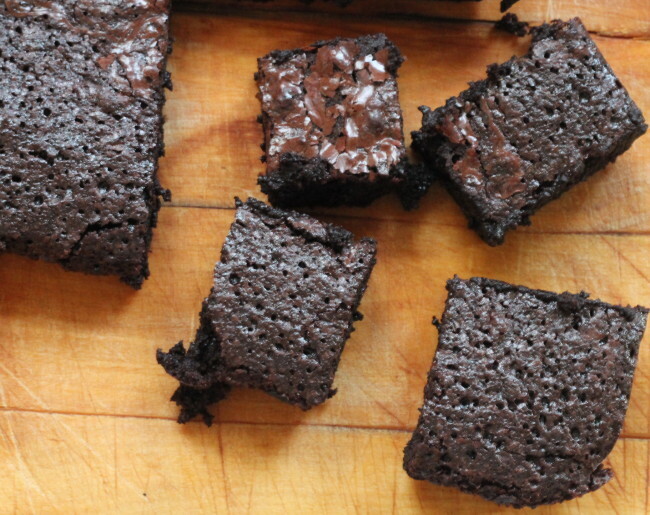 Remove the brownies by pulling them out by the parchment paper. Cut into squares. 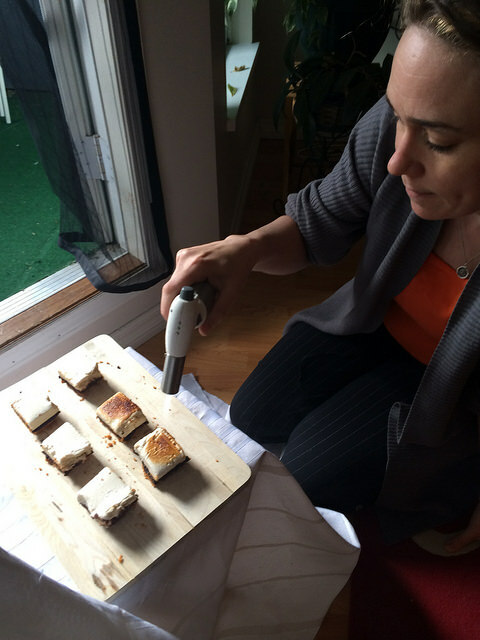 Finish by torching each one (the marshmallow part) with a brulee torch.